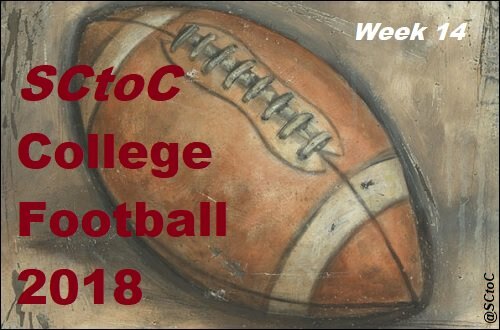 Welcome to SCtoC's coverage of week 14 of the 2018 college football season. We have one rivalry match up in this final week of the regular season, and it promises to be a good one with two teams coming in with identical conference and regular season records. This will serve as the preview and game thread. Included will be scoring updates and stat summaries following each quarter, and at the end of the game. We've also provided links to the official twitter accounts of each team in each match up. Often those accounts will have additional updates leading up to, during and after the games. All times are pacific time. Times and broadcast information could be subject to change. What: It's finally time for The Big Game as the Cardinal visit the Golden Bears. When: Saturday, December 1 at 12 p.m.
Where: California Memorial Stadium; Berkeley, California. Cardinal Radio Stream: Cardinal Sports Network. Golden Bears Radio Stream: KGO 810. 2018 Records: Cardinal 7-4 (5-3 Pac-12 North); Golden Bears 7-4 (4-4 Pac-12 North). Head Coaches (overall as HC): Cardinal - David Shaw (80-26); Golden Bears - Justin Wilcox (12-11). 2017: The Cardinal defeated the Golden Bears, 17-14, at Palo Alto. Cardinal Notes: Stanford is bowl bound for the 10th straight year, and have made it to the post-season in each of David Shaw's eight years as head coach. The Cardinal are hobbled, especially on defense, but the inadvertent bye week should aid hat a bit. While traditionally a run-oriented team, the Cardinal have relied heavily on the arm of their quarterback, K.J. Costello this season. Stanford is coming off a 49-42 win against UCLA. Costello tossed five touchdown passes; three to J.J. Arcega-Whiteside to lead the way for the Cardinal. Costello completed 23 of 37 passes for 344 yards to go with his touchdown passes and single interception. Bryce Love was solid in the ground game, rushing for 85 yards on 22 carries with a trip to the end zone. Arcega-Whiteside was his usual spectacular self, catching seven balls for 106 yards to go along with his trio of scores. Trenton Irwin had seven receptions for 103 yards and a touchdown in the win. Golden Bears Notes: The Golden Bears are going bowling for the first time since 2015 after stunning USC at Los Angeles last week. Their defense has shone all season long and will provide a formidable challenge for the Cardinal offense. Cal is an emerging squad in the Pac-12, having this season recording wins over in-state rival USC and Pac-12 North champions Washington. Winning the Stanford Axe over the Cardinal would provide for the hat trick. The Axe is presented to the winner in this annual rivalry game between the teams. In Cal's win last week over Colorado, Chase Garbers went 14 of 26 for 116 yards and a pair of touchdowns. He also rushed 12 times for 47 yards. Patrick Laird gained 45 yards on 18 carries, while Vic Whatron III led the Golden Bears with six grabs for 61 yards, while Maurice Ways added three catches for 43 yards. The Big Game Notes: This will be the 121st meeting between the teams, with Stanford leading the series 63-46-11. 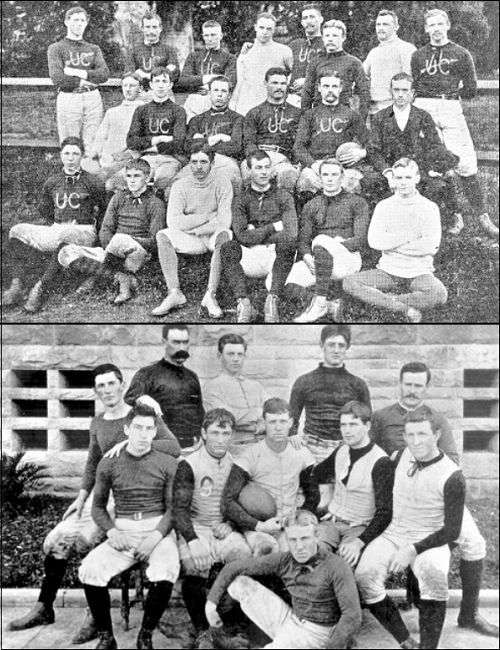 The first Big Game was played in 1892 with Stanford winning, 14-10. The first 13 games were played in San Francisco, with the subsequent 107 being alternated between Berkeley and Stanford/Palo Alto. The Cardinal have won the last nine meetings. That's the longest streak by either team. The Golden Bears longest win streaks were five twice; from 1919 to 1923 (the 1924 game ended in a tie). The most famous entry of The Big Game is undoubtedly the 1982 contest. Future NFL Hall of Famer John Elway drove the Cardinal down field late in the game to take a 20-19 in the final seconds. Then, as it has been come to be known as The Play, occurred with four seconds remaining in the game. On the ensuing kickoff, four Golden Bears players lateraled the ball a total of five times. The first -- and last -- Cal player to possess the ball, Kevin Moen crossed the goal line during a chaotic scene which saw the Stanford fans rush the field. Moen's momentum ran him straight into Cardinal trombone player Gary Tyrrell who had run on to the field with the rest of the Sanford band to celebrate. Officially in the NCAA logs, Cal won the game, 25-20, but to this day, Stanford faithful disregard that and call it a Stanford win. There are two claims; that two Cal players had knees on the turf prior to lateraling the ball, and that one of the lateral's was a forward pass. If proven, each would have ended the game with Stanford as the winner. Several Stanford records call it a Cardinal win. In an interesting side note, Moen and Tyrrell became friends and remained in contact for several years; possibly even to this day. The video of The Play appears below. Additional Note: Wildfires have devastated Northern California over the past few weeks. At this writing, 84 persons have lost their lives and over 800 persons are still considered missing. Tens of thousands of persons are displaced from their homes. Of an extremely lesser degree, The Big Game between Stanford and Cal was postponed from Nov. 17 to Dec. 1 due to poor air quality due to the fires. We at SCtoC encourage our readers to donate to wildlife relief by going to the Red Cross official website. Click the drop down under I want to donate to and click California Wildfires. KGO's Joe Starkey has been the radio play-by-play announcer for the Golden Bears since 1975. Here is his call of what is, perhaps, considered the biggest play in college football history. By clicking the KGO link above to listen to the game, listeners will hear Starkey's voice call the 2018 incarnation of The Big Game. The respective participants in the original Big Game in 1892. Cal appears above, Stanford below. To share this post on social media, please go to the right side of the page to the social media icons and choose which social media site(s) to share the thread. To comment on this thread and others on this forum, please login or register. Great preview, Angi! I love the photo at the end. Those men started the rivalry. It's amazing to think this rivalry has gone one so long. Leland Stanford, Jr. University was created in 1891 and the first Big Game was a year later. Obviously, Stanford will win this game. Additionally, the record should reflect Stanford's win in the 1982 game That would make the Cardinal 64-45-11 in the series. Thank you for that attention. The record is accurate as it stands! It'll look even better when Cal wins tomorrow afternoon! I have it on very good knowledge that this thread should be lively. Both Stanford grads and both Cal grads will be here to run things. This one should get interesting. I expect a close game. Of course, Stanford will win! Good luck to all of you. I'm leaving the house now! As Cal is the home team, I will provide the scoring and stat updates today. I'm going to be busy because Cal is going to score a bunch. Go Golden Bears! 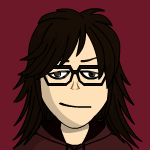 FG Stanford. Jet Toner 26 yards. Touchdown Stanford. Cameron Scarlett 46 yard pass from K.J. Costello. Jet Toner kick. FG California. Greg Thomas 40 yards. FG California. Greg Thomas 24 yards. We never make these types of penalties. At least not like this. Why would we run on third down? Come on Shaw.